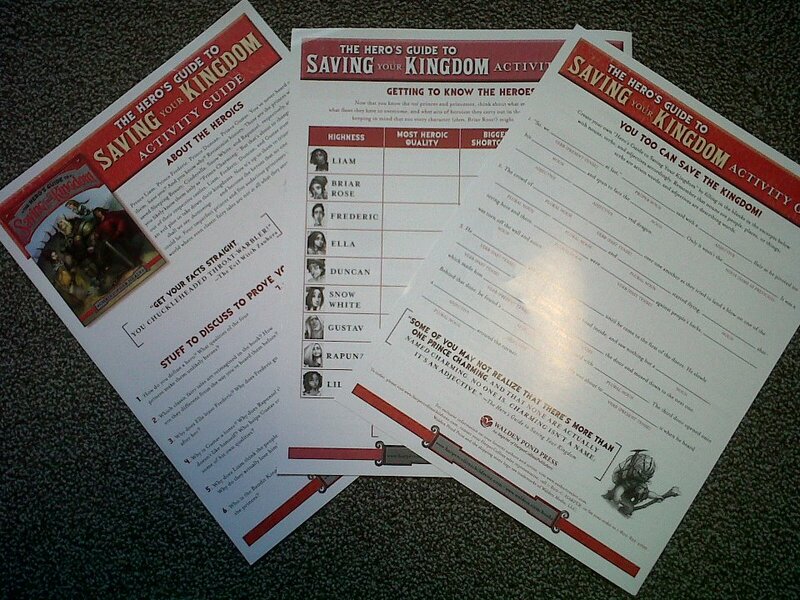 The good folks at Walden Pond Press released a sneak peek photo today of the official Hero’s Guide to Saving Your Kingdom Activity Guide, which will be available to students and educators. The photo also serves as a nice little sneak peek at some of the wonderful artwork in the book (courtesy of illustrator Todd Harris). Perhaps someday there will be a Guide to the Hero’s Guide Activity Guide.